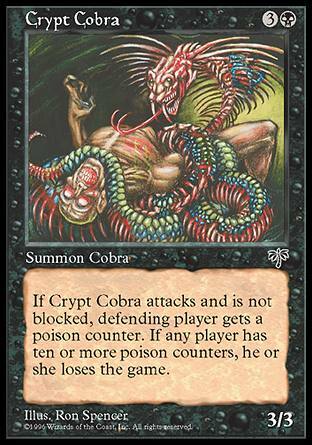 card text: If Crypt Cobra attacks and is not blocked, defending player gets a poison counter. If any player has ten or more poison counters, he or she loses the game. this card may be stronger then sabor tooth cobra but not as ..